Sureshade ATF 7ft 141"-160" center | Exalto Emirates LLC. 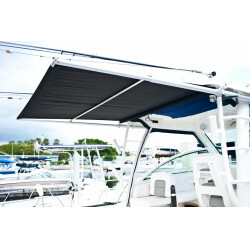 SureShade ATF™ Automated Boat Shade is a patented, electric power-driven retractable boat shade system that automatically extends or retracts canvas at the touch of a button. 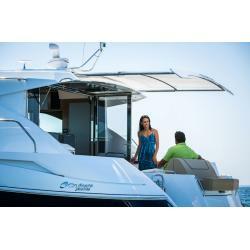 Featured by top boat builders worldwide, SureShade ATF is the ultimate in shade convenience and comfort. 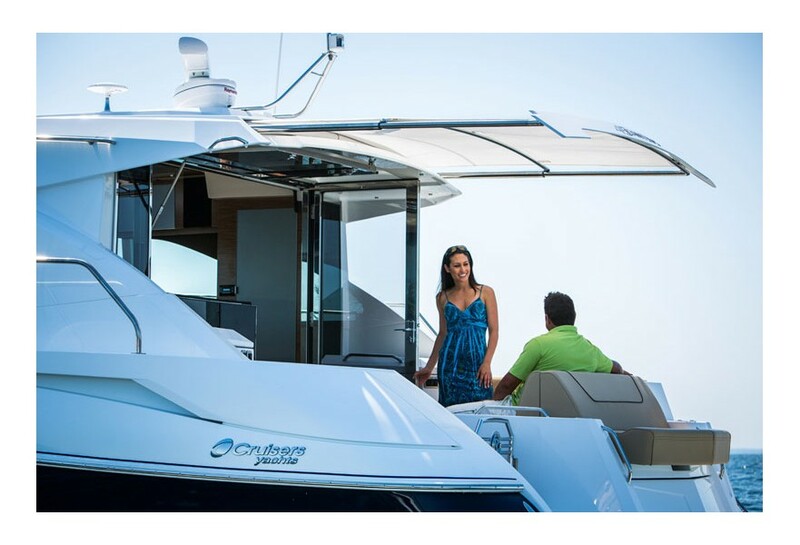 With surface-mount or fully-integrated install options, SureShade ATF is the ideal shade solution for boats over 30 ft.
All shades are made to custom specifications. Ensure all measurements are accurate before sending them to Exalto Emirates. 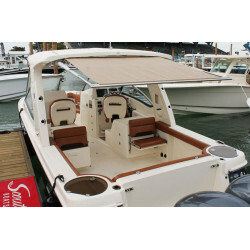 Any errors made by the customer are the customer’s responsibility. 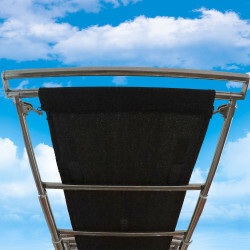 Independently tested and can withstand winds of 50+ mph (80kph), can hold 300lbs (136kg) across the stainless steel framework of the top.